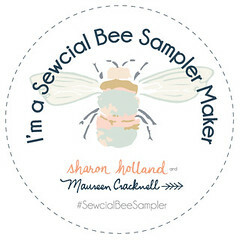 Maureen Cracknell Handmade: The Sewcial Bee Sampler Sew-Along: Block 1! 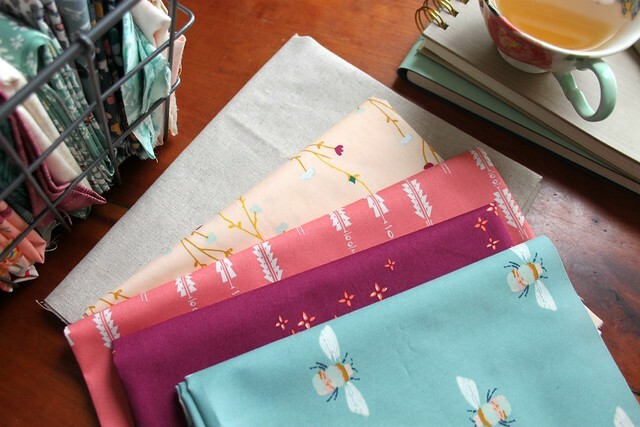 The Sewcial Bee Sampler Sew-Along: Block 1! 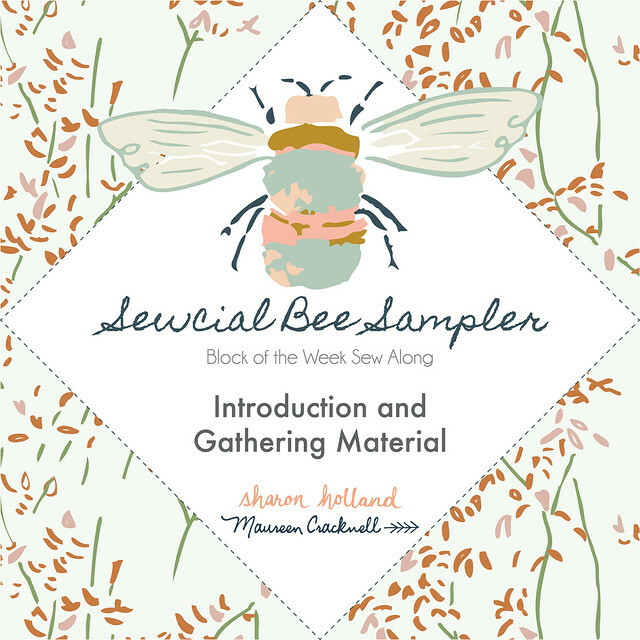 I'm so excited to welcome you all to the first official day of the Sewcial Bee Sampler sew-along! 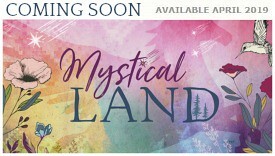 I shared Monday that friend and fellow Art Gallery Fabrics designer Sharon Holland and I have teamed up to co-host this fun, community event and we're thrilled with the response we have received! 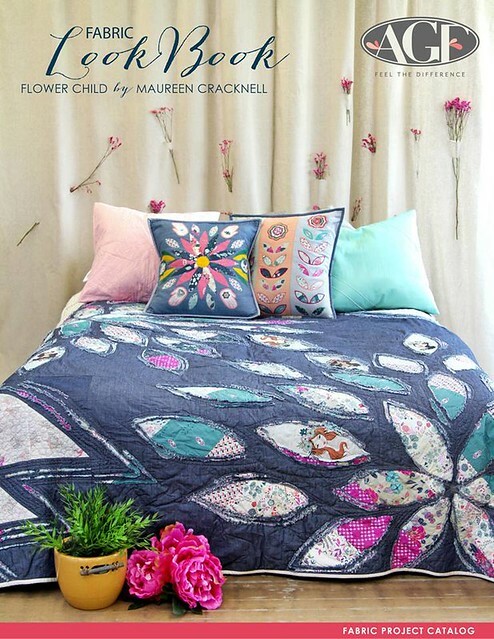 Each Wednesday for the next 25 weeks, we'll release a new PDF block pattern, share piecing techniques and tips, and provide inspirational photos as Sharon and I make our own quilt blocks using our fabric collections! Today we have two PDF downloads for you! Please take careful note to print out the Introductions and all block PDFs in landscape (horizontal) printing format and select Fit to Page, if applicable. The first download includes the Introduction handout. 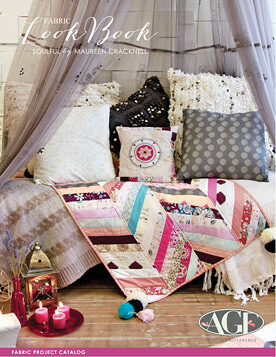 Here you'll find what's needed for selecting your fabrics. 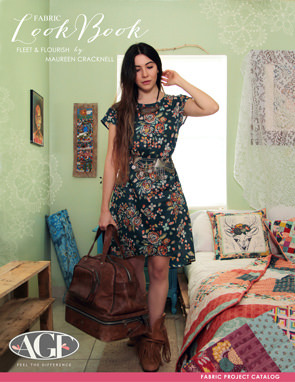 Since we encourage those joining us to use their own individual fabric preference, the yardage for this project is shared in total amounts, rather than specific fabric and amounts. 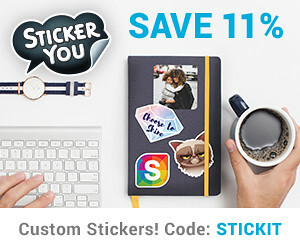 We want this to be a fun, personal experience for you to make your sampler in your own unique style! 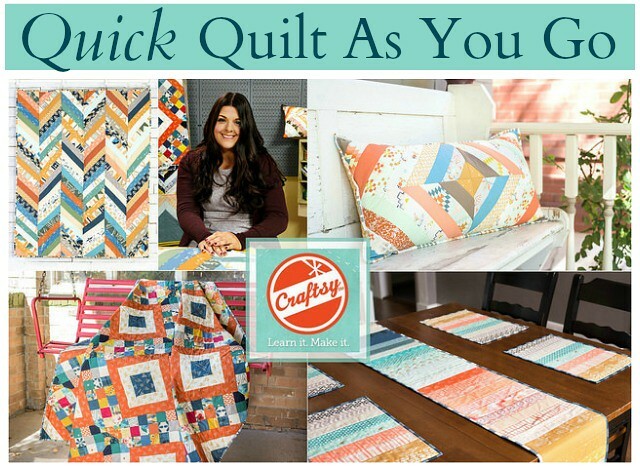 This quilt is as perfect for those wanting to use that favorite fabric collection as it is for those wanting to make this quilt entirely from your stash or scraps! Just work week to week with the exact cutting requirements we provide with each block pattern. 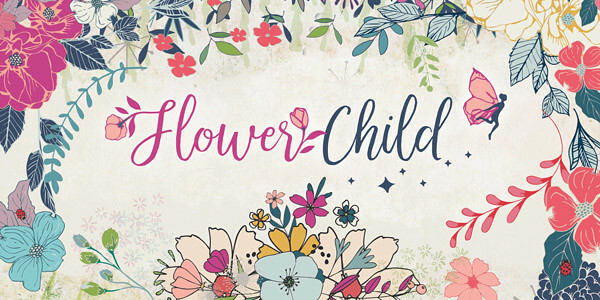 Also included in the Introduction PDF is a pretty coloring sheet so you can start planning your quilt! 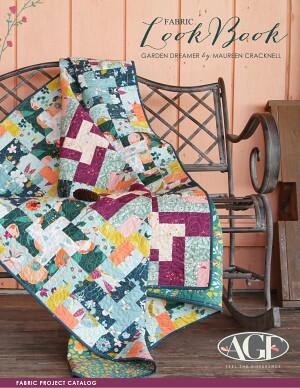 The second PDF to download today is our first block - - Patience Corners. 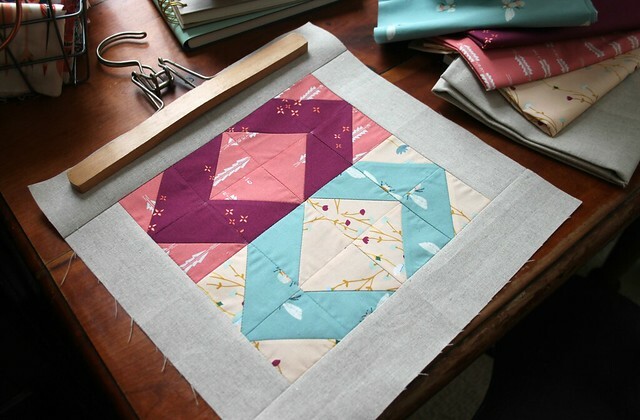 The block instructions come complete with cutting information, step-by-step illustrations, and includes our favorite method for making half-square triangles (HSTs) - - the make eight-at-a-time technique! 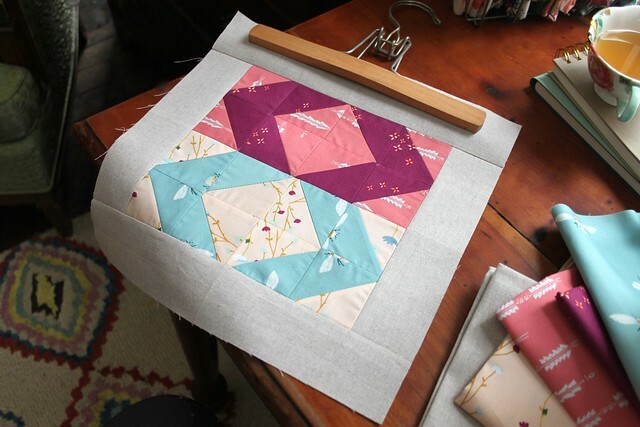 You'll be able to make the necessary 16 units needed for this first block from just four squares of fabric so fast! 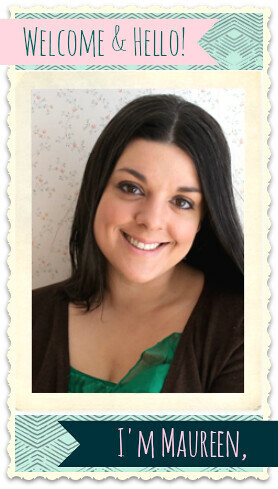 Be sure to visit Sharon's blog today for additional tips for how she makes perfect HSTs every time! 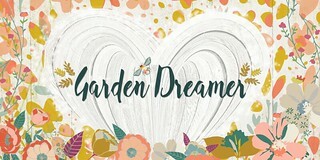 For my own Patience Corners block I used the Nightfall print Aura Fletchings Rose and Garden Dreamer's Twinklestar Berry, Bumble Buzz, and Climbing Posies Pale with AGF's Soft Sand Linen! 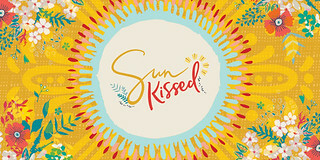 I'm loving the combination of these brightly colored prints with the natural colored linen! For my sampler I plan to use prints from all of my collections combined with this linen and AGF's Solid Smooth Denim in Cool Foliage for my sashing. 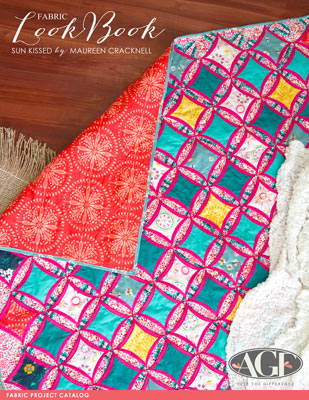 I love scrappy quilts with lots of color and prints, so that's what you should expect from me each week! I can’t wait to see what your Patience Corners block looks like! 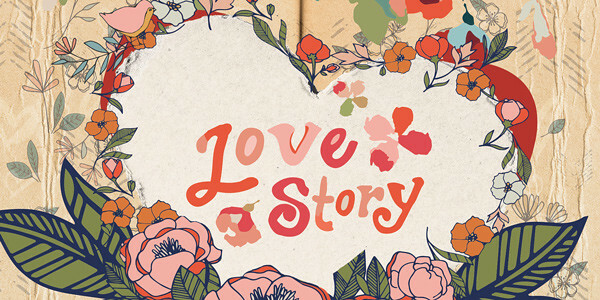 When you share be sure to add a link to where I can see it below within the comments. 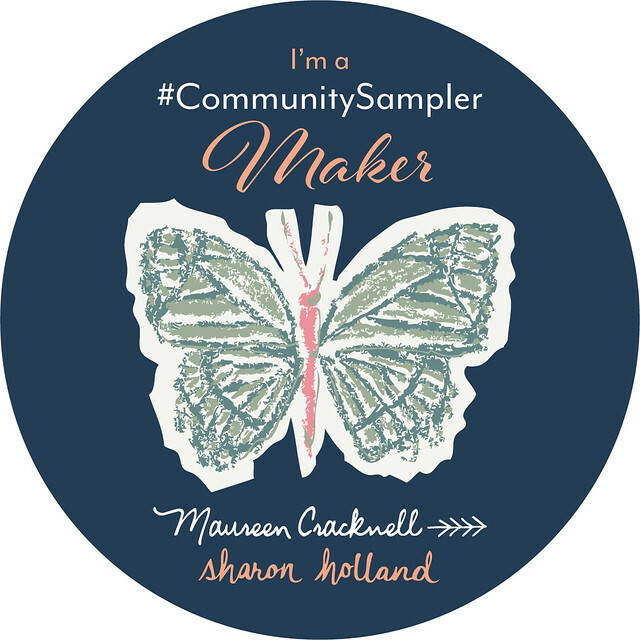 When you share on Instagram don’t forget to use the hashtag #sewcialbeesampler and to tag @sharonhollanddesigns and myself @maureencracknell so we can visit and see your work! 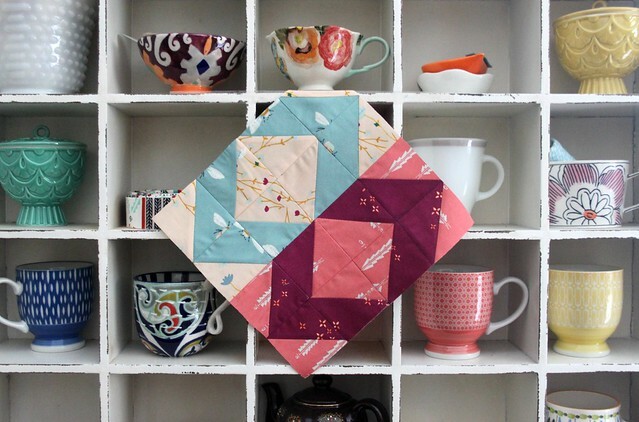 Using the #sewcialbeesampler hashtag will also automatically enter you in the weekly IG Giveaway pool! Remember that your Instagram account does need to be a public account for your post to show up in the Instagram hashtag pool. 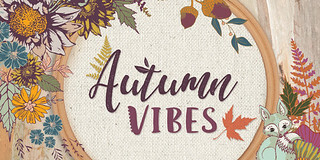 But please don't worry, if you don't have Instagram we will also be hosting the same giveaway prize, alternately between Sharon's and my blog, so you can choose how and where to enter each week! 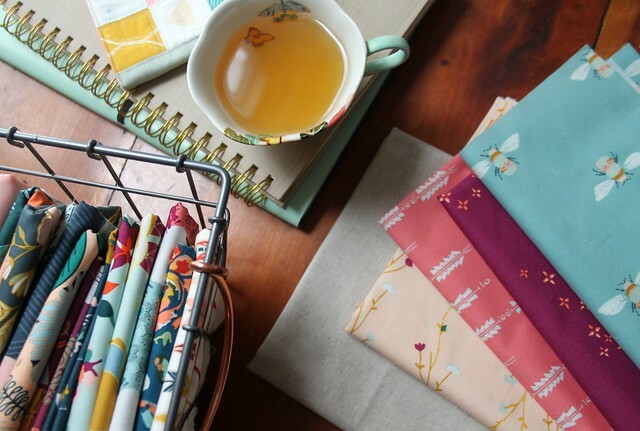 Be sure to check back here on Friday for more info on this week's first Sewcial Bee Sampler Giveaway with our sponsor Lady Belle Fabrics! Thanks again for joining us! WHEE!! 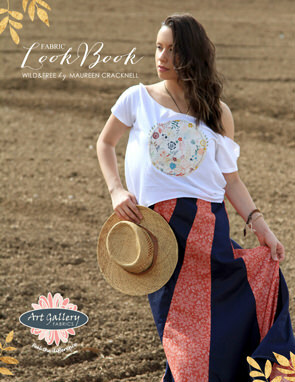 I love this Sewcial!! Thank you for letting me know! I went ahead and linked everything up to her downloads just be safe, as I have no idea what the problem could be. Thanks for the heads up and for joining us!! wow, that is a very nice block!! Can't wait to buy some fabric to start sewing my blocks too!! 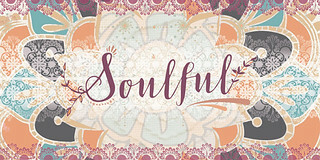 looking forward to Friday's giveaway in case I win some LadyBelle Fabrics!!! 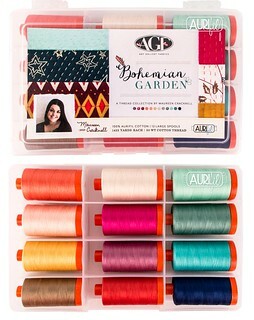 This may be just the thing for my Jeni Baker fabrics *squeee*!!!!!! 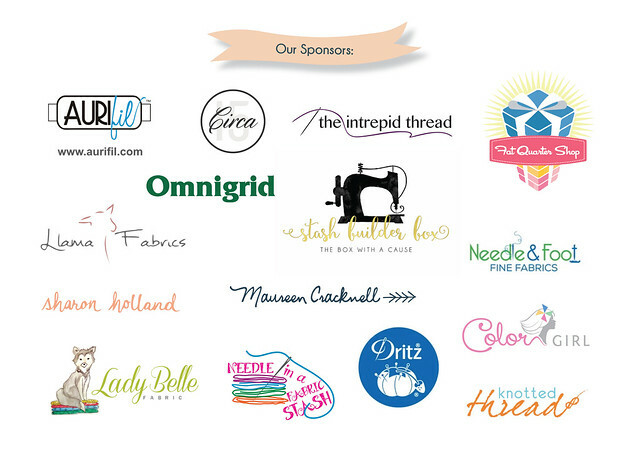 I am SEW Excited to join your sewcial bee sampler!! Thanks for your creativity. 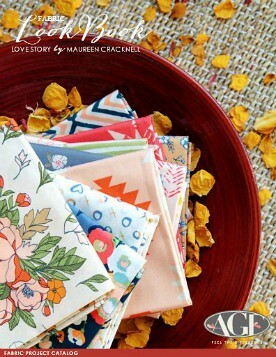 I have not seen your fabric here in my area but I am excited to look for it! Love it! Love it! Love it! 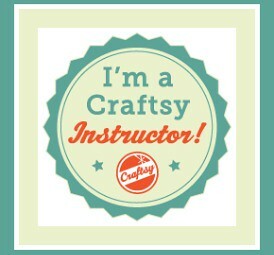 I'm in, I love sampler quilts and I am excited to learn new techniques and to make blocks I have not made before. I'm so excited that I plan to make two blocks each week so that at the end I will have two quilts for family members. Thanks for this great sew along. Wow, you are so organized! This will be fun!! Maureen, this is what I've been looking for for a very long time. 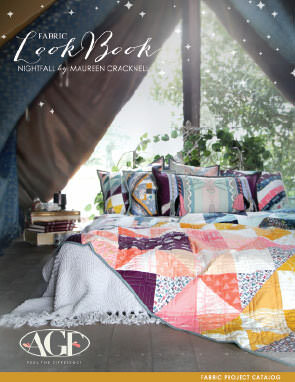 A quilt-along and a sampler project that I am truly excited about! Thank you. 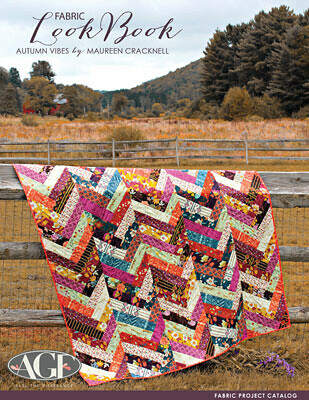 I am looking forward to each new weekly adventure into my precious scraps box. Who knows where this will end up. This sampler looks so exciting. 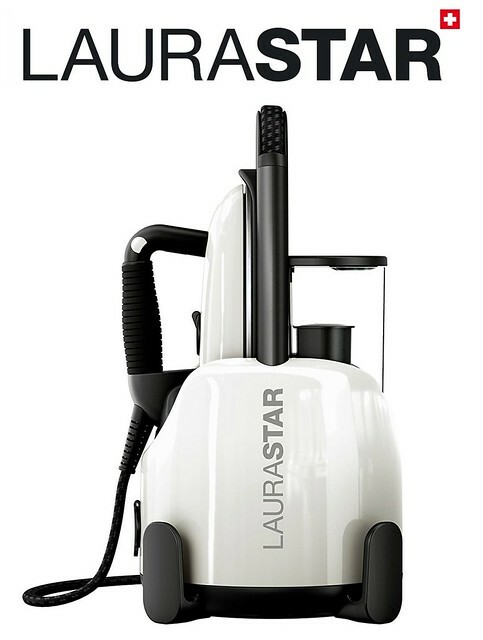 Thanks for the mock up. I think it will be very helpful. Did you download the pattern? We're using the make eight at a time HST method and all the measurements are included right in the pattern. Trimmed HSTs will be 2.5. Awesome <3 <3 Thanks for the mock up. I think it will be helpful. I've posted to Instagram this month's block. I enjoyed using some fabric donations from Fabric Traditions. The final quilt will be a donation to some charity. I just love the Bumble Buzz fabric. Thank you for the fun pattern, excited to start on it. I love your colors just hope I can find some that match as well. Thank you for the sew along, and thank you for sharing your talent. I love samplers, and this is going to be a beautiful quilt when finished. Hello and thank you for the sew along. I am glad I sewing comes easier to me than electronics and hopefully this has the info needed. Just found this and am loving it! Thanks for hosting. Can't wait to see the rest of the blocks. Just reading for first time. will check my stash tomoroww ! Thank you, love this block. I started late, began with block 3 and worked my way backwards. So, I am finishing up Patience. However, I am finding that this block will end up about .75" larger than the other two. Block two and three came out to be perfect 12.5" and Patience is 13.25". Unless anyone else has run into this problem, I'm going to assume I've made an error and I'm going to trim down the border. And here I thought I measured so carefully! Thank you for the sew-along, it's lovely! Ha! I'm going to reply to my own comment! Disregard, all is well! Hope it's not too late to join. Just found you. I can add another block or three to my schedule of 50 quilts a year. Too many quilts and never enough years to get them all done. Just had my 74th birthday and going to try to last for the 100th. 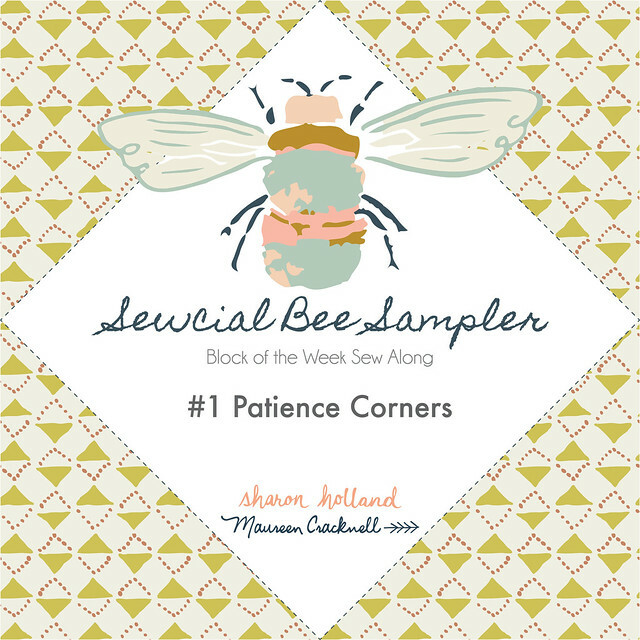 Completed #1 Patience Corners. Not the best as I struggle with HST's but I'm still new to quilting and learning a lot!